Pain management is a primary goal of hospice care. But people often have misconceptions about how hospice care deals with pain and other end-of-life symptoms. For instance, relatives sometimes worry their loved one will be “doped up” or become addicted to strong pain medications. Or they may fear their family member will suffer severe pain or other symptoms without sufficient relief. Fortunately, neither scenario is likely, notes Chief Medical Officer Stephen Goldfine, MD at Samaritan Healthcare & Hospice. “Hospice is about maximizing the patient’s quality of life at each stage of their illness,” he explains. That means finding the right balance between pain relief and ability to live life. Qualified hospice providers base these decisions on the patient’s needs and preferences. Hospice pain management means keeping the patient comfortable and addressing their symptoms, so they have the best possible quality of life. Near the end of life, patients may experience a range of discomforts, including pain, shortness of breath, nausea, anxiety, constipation, swelling, and insomnia, among others. A key goal of hospice care is to reduce these symptoms and increase the patient’s comfort level as much as possible. Easing these symptoms enhances patients’ well-being, enabling them to make the most of their remaining time. 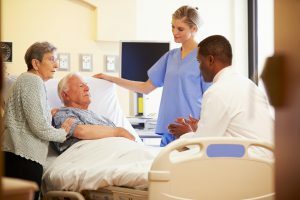 In fact, patients are more likely to receive higher-quality hospice pain management than non-hospice patients with similar health issues, research shows. 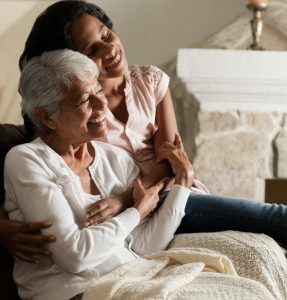 Hospice providers treat symptoms in various ways – from the use of certain medications, to psychological and spiritual support, to complementary services such as therapeutic massage. Hospice also provides caregiver training and companionship, which can ease patients’ discomfort. The hospice team will assess the patient’s pain during each visit. They will use a pain rating scale, as well as the clinicians’ expertise. Pain rating scales include numeric measures (the patient rates pain from zero to 10 — from no pain to the worst possible pain); pictures of smiley faces with different expressions (the patient points to the face that best reflects their pain level); and the FLACC scale. FLACC evaluates pain using five categories of non-verbal indicators: face, legs, activity level, crying, and consolability. For instance, is the patient frowning? Are their legs drawn up? Are they moaning? Can they be soothed? FLACC can be based solely on the hospice team’s observations, making it especially useful for patients who are unable to communicate. Hospice pain management also evaluates and addresses patients’ emotional and spiritual pain. This type of pain can increase physical pain, and vice versa. Some patients – such as those with dementia – are unable to communicate they’re in pain. Others may try to hide their pain, fearing it will make them seem weak, or not wanting to complain, among other reasons. Thus, it’s important for both family caregivers and hospice providers to watch for any indications of discomfort. Many hospice patients will need some type of medication to manage their pain or other symptoms. At the same time, hospice doctors and nurses recognize that pain relievers can cause drowsiness and other side effects. 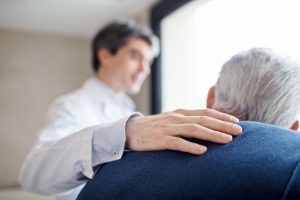 Therefore, these providers work to find the lowest dose that will keep the patient comfortable, and that will also enable the person to do the things they find most meaningful – such as interacting with their loved ones. Acetaminophen. Known by the brand name Tylenol, this is the most-prescribed hospice medication. It reduces fever and mild to moderate pain. Bisacodyl. This drug treats constipation, an uncomfortable condition that’s common among patients as they take pain medication and/or eat and drink less over time. Brand names of this laxative include Carter’s Little Pills, Correctol, Dulcolax, Feen-A-Mint, and Fleet Bisacodyl. Dexamethasone. This steroid can relieve pain, reduce swelling, increase appetite and relieve nausea, among other uses. Brand names include Decadron, Dexamethasone Intensol, and Dexpak Taperpak. Lorazepam. The second most-prescribed hospice medication, lorazepam reduces anxiety, agitation, shortness of breath, and insomnia. Brand names include Ativan or Lorazepam Intensol. Haloperidol. Known by the brand name Haldol, this drug helps reduce agitation, nausea, and delusions. Oxygen. While not technically a medication, this clear, odorless gas can be used as one. Supplemental oxygen – also called 02 – encourages healing, reduces shortness of breath, and decreases air hunger – the sensation of not being able to get enough air. Morphine and other opioids. These medications relieve moderate to severe pain and shortness of breath. 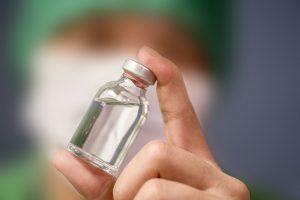 Morphine is the preferred hospice medication for pain management for cancer-related pain. 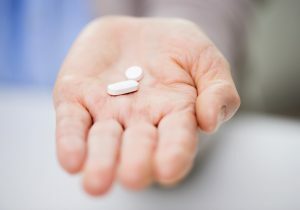 In addition to morphine, other opioids that control hospice patients’ pain include oxycodone (Oxycontin), methadone (Dolophine), and hydromorphone (Dilaudid). Some families express concern about opioids, including fears about addiction. However, people on hospice are diagnosed with six months or less to live, which is not enough time to develop an addiction. Therefore, priority should be placed on providing the most effective means of pain relief. Another common worry is that using opioids will hasten the patient’s death. In fact, studies show the opposite: that patients on hospice generally live longer once their symptoms are managed, compared to those who do not receive effective hospice pain management. They key to starting an opioid is to start low and go slow. These medications are very safe when given for symptom control, and increased slowly as needed for pain relief. 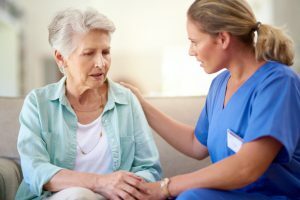 Hospice pain management protocols require close monitoring of the patient’s need for the drug, proper dosage, and secure storage of the medication if the patient is living at home. Changes in the patient’s breathing pattern or greater pain are typically caused by their advancing illness, rather than by the medication. Moreover, starting hospice care as soon as possible after the patient’s terminal diagnosis enables quicker management of pain and other symptoms – allowing the patient to enjoy a better quality of life for a longer period of time. Hospice can provide psychological and spiritual support for patients experiencing any type of physical or emotional pain. The hospice’s social worker and/or chaplain will visit the patient to help address these needs through supportive listening, conversation, and counseling. In addition, hospice can also address emotional distress — such as anxiety and agitation — with certain medications, such as Ativan (lorazepam) or Valium (diazepam). (See “Medications for hospice pain management” above). Family members and friends should avoid adding to the patient’s stress and anxiety, by not arguing with or near the patient. Massage Therapy. A trained massage therapist uses gentle, therapeutic touch to provide relaxation and comfort. Many patients show improvements in emotional distress, nausea, anxiety, and pain. For instance, massage therapy can reduce swelling by encouraging drainage of lymph fluids. It can ease soreness and stiffness by increasing blood flow to affected joints and muscles. Massage also lowers blood pressure and eases your heart rate. It reduces unhealthy levels of stress hormones, and releases “feel good” hormones that temporarily lessen the impact of other aches. This therapeutic touch increases circulation, which can help patients feel less cold and more alert. Massage therapy may include gentle stroking, kneading, and light pressure on the hands, feet, legs, or arms, with or without massage oil or lotion. Massage can be provided while the patient is in a hospital bed, wheelchair, recliner, or upright chair. Each visit is tailored to the patient’s needs. Looking for more information about complementary therapies? Read about these natural methods for enhancing quality of life. Family members can attend massage therapy sessions, where they can learn how to apply the techniques. Music Therapy. Trained music therapists work with patients to help reduce pain, anxiety, and other discomforts. Therapists provide individualized treatments that can include creating music, singing, moving, and listening. 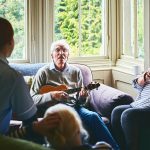 In fact, music therapy can address a wide range of physical, emotional, spiritual, and social needs. This enjoyable treatment spurs positive memories and conversations, focusing the patient’s attention away from their worries and discomforts. Pet therapy. Trained volunteers visit patients and families with certified pet-therapy dogs. Petting and interacting with an animal prompts our bodies to release “feel good” hormones, and distracts people from their illness. This helps reduce pain and stress, and improves overall comfort. 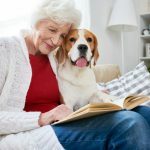 Pet therapy can also lower blood pressure, improve heart rate, and reduce loneliness. 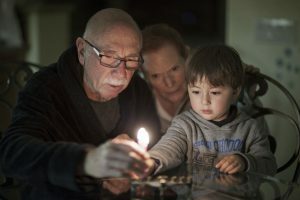 It encourages conversation, laughter, and emotional connection between patients and their families. And patients may find joy in reliving memories of their own cherished pets. Aromatherapy. Also known as essential oil therapy, aromatherapy uses fragrant oils from plants to promote comfort and wellness. 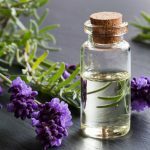 Aromatherapy can be applied in several ways. Samaritan Hospice uses a method called aerial diffusion, which disperses the fragrance into the room via a sachet or small perfumed bag.